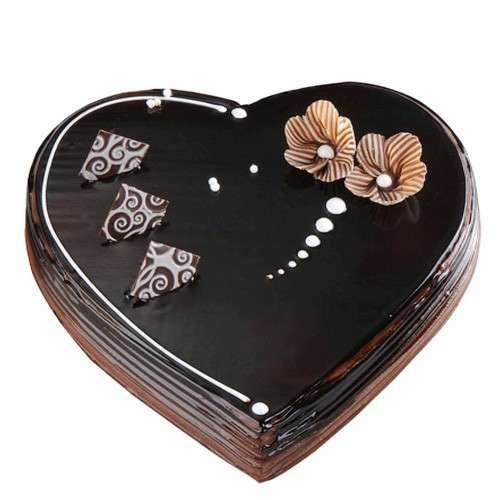 Product Consists: 2 Kg Dark Chocolate Heart Shape Cake from Five Star Bakery. Gift your loved ones in india the 5 star experience. 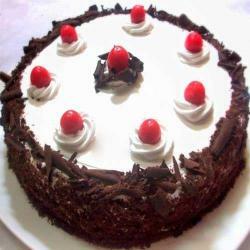 Giftacrossindia.com brings variety cakes for you & one of them this glazed look soft dark chocolate cake is the purest form of sinful indulgence. 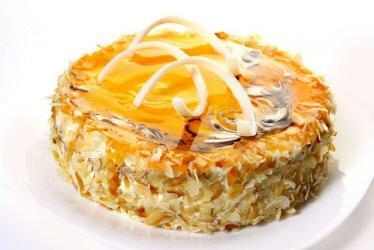 Square piece of choco chips toppings with artificial chocolates flowers and sweet white cream stripes, dots decorative pattern to enhance the appeal of this exotic cake. 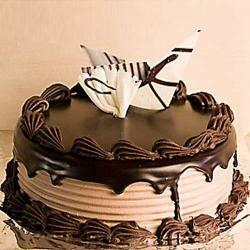 Very simple to order for such occasions like Anniversary, Valentine''s day, Daughter day, Engagement etc. 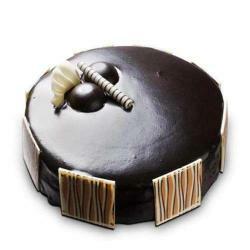 Product Includes: 2 kg Dark Chocolate Heart Shape Cake from Five Star Bakery.